The resort was very quiet and peaceful. it was just what we were looking for. the rooms were sufficient and clean. we were not looking for the ritz, just something basic and near the beach. the workers and other guests at the resort were all wonderful. Very nice place in excellent location with friendly and accommodating staff. A Time To Relax ! Want to get away from it all and relax ? This is the place. It's quiet, relaxing, well kept right on the beach and no asphault! It's a very quant place right on the beach. It's a ten rating for sure. We are return customers. The vacation rental experience was very pleasant and met our expectations. The location was perfect and the room was clean and had everything we needed. The staff was very professional and was available when needed. We would stay here in the future if we are ever back in the area. We tend to travel and pick places to stay on a whim. We found this place because our normal place we stay on Sanibel wasn't available. We were pleasantly surprised at how nice the accommodations were. The rooms are very roomy have plenty of space and was very comfortable. It was a nice change of pace from your typical hotel room where you feel crammed in and have very little room to be comfortable. It was a very close walk to the beach in the beach was very nice not very crowded with plenty of even during the summer. They also have a nice pool area which was quite comfortable. Definitely recommend this place and would stay there again on our next trip. Stayed in Pineapple Lodge #125. Has a slight gulf view from the balcony(east side of bldg)and a good gulf view from the room entrance side(west side). Room is spacious, even with 4 people staying. Has a full kitchen. Loved having the beach loungers available to take down to the water. Also saw some amazing sunsets! Waterside Inn is always a great place to getaway and relax! Great 2 night Stay. Old Florida feel on the beach. Nice efficiency with plenty of room. Great people in the office. Only would change two things about the room. 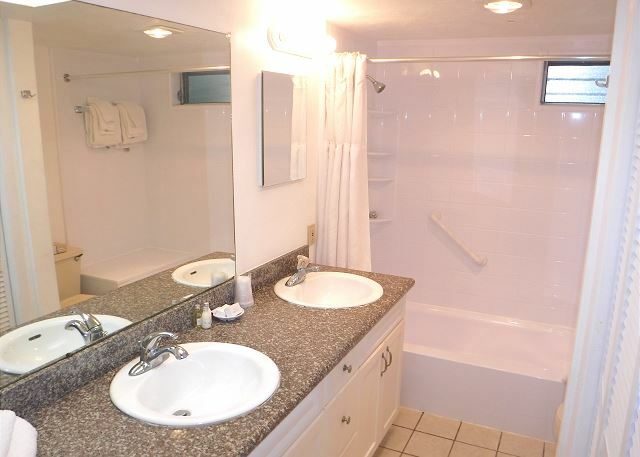 The bathroom needs an exhaust fan and the TV is on the small side. We were not disappointed at all with the efficiency we stayed in. Everything was provided as offered online. The only complaint or advice I would give would be the location of the air conditioning unit. It is so high the vents are aimed at the was very hard to stay cool at night. I would recommend a ceiling fan and that would solve the problem. The staff from the managers to housekeeping were very accomodating. Above all the value of the stay there was well worth it. We are surely coming back next year. 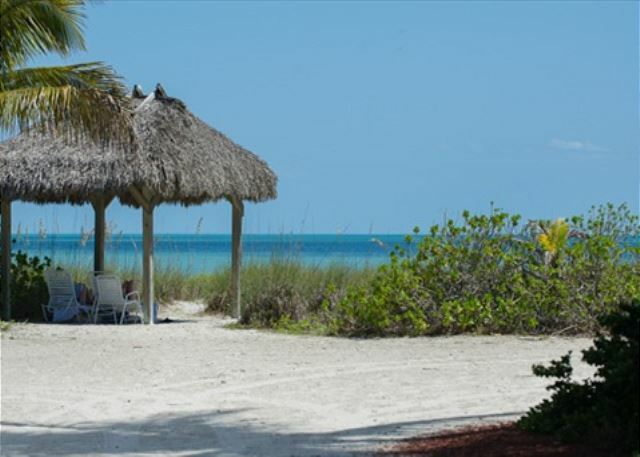 The location was close to just about everything Sanibel had to offer. The Waterside inn was everything that i hoped for. Clean, quiet and the room was spacious. It is right on the beach and having the convenience of renting bikes on the property was perfect. Would definitely stay here again! I will continue going here like I have for many years. The staff is amazing and for the money you can't ask for anything better. Sanibel has gotten so expensive it's ridiculous, but this little place has it going on. Super kid friendly. If you bump into this place, STAY HERE. You won't regret it at all and you'll be back. We will stay here again the next time we come to Sanibel. Cozy, quaint, and old florida style relaxing on a beautiful beach. All aspects of the vacation stay more than met my expectations. It would be great f the toilet were anchored better and did not move when sat upon. We return every year. Great location. Casual and comfortable. Friendly staff. Beach cottage to crave for! The lactation was perfect and the staff was very nice. We thought the Friday night beach party was a very nice touch. Our third trip to the island and our third choice of hotels. Waterside Inn was the best selection to date. 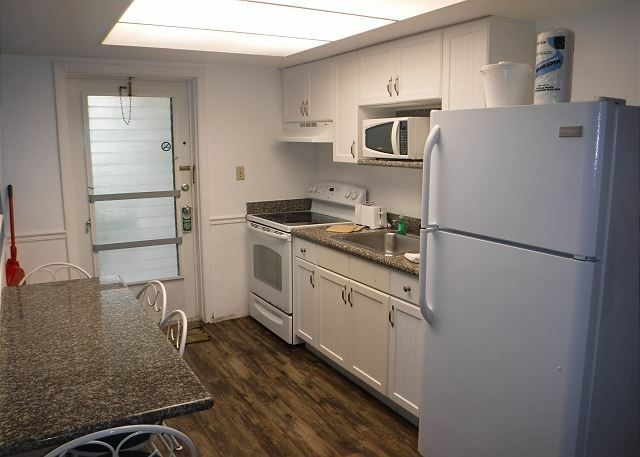 The two bed efficiency with a full kitchen was comfortable and had a great Gulf view. We really appreciate the deep white sandy beach so that we could watch the waves from the lounge chairs. The unscreened patios/balconies aren't angled toward the Gulf like other facilities but most still offer great views. Our biggest negative was that the rooms had through the wall air conditioning units that really did drown out the sound of the waves. Unfortunately it rained the entire time we were there. But the property was beautiful even in the rain. Very nice and quiet. The beds were the most comfortable hotel beds I have ever slept on and I travel 50% of the time for work. The only downside is no restaurant or food on the property. Excellent, restful location, comfortable room, We will be in unit 128 for three weeks and have done this for many years. From our room we can view sunrise and sunset! 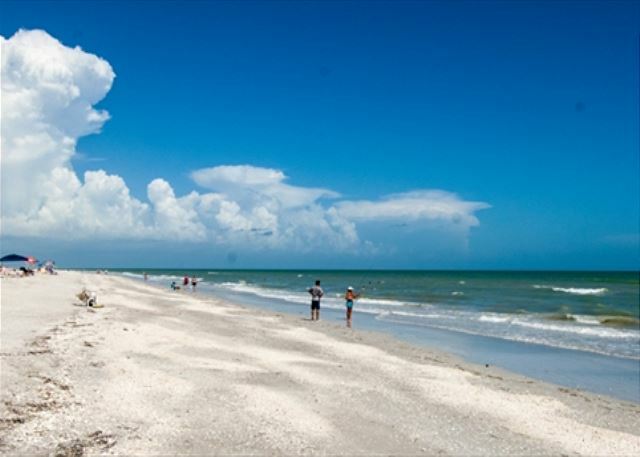 Sanibel offers us just the right blend between quiet and activities. best place in Sanibel!! sunrise and sunset place, nice palmtrees!! We had our family reunion at Waterside Inn. It is the first time we didnt have it in Stuart, FL in about 25 years. 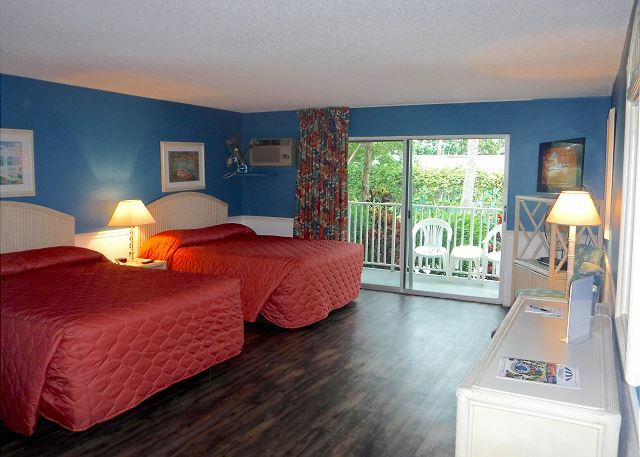 So we took a gamble on Sanibel and Waterside Inn. Absolutely LOVE the place. Waterside Inn is a small place and was perfect for what we needed. The villas were perfect for gathering and having dinner together. Being directly on the beach has it's advantages. We stayed in the Hotel portion and it was great. They actually have 3 rooms that open up together. Friendly staff, great beach, great pools and great location. 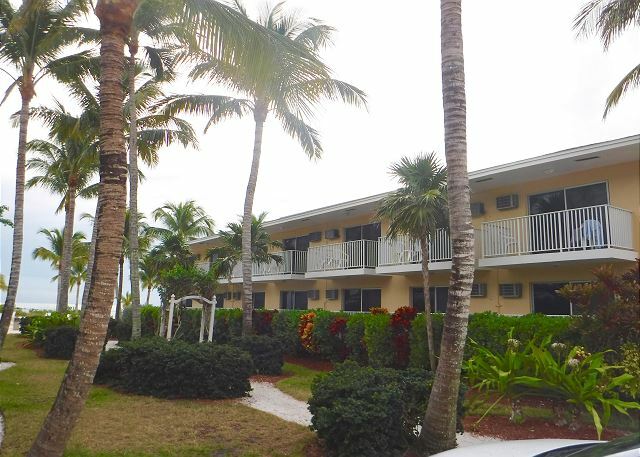 Would HIGHLY recommend this to anyone who is looking for a great place on Sanibel to stay! This was our first time in Sanibel. And we had a great view and the rooms were great. Likely to stay again!! We have stayed at the Waterside Inn several times and have always been very happy with all aspects of our stay. We will definitely be staying there again in the future, and have also recommended the property to friends and relatives. 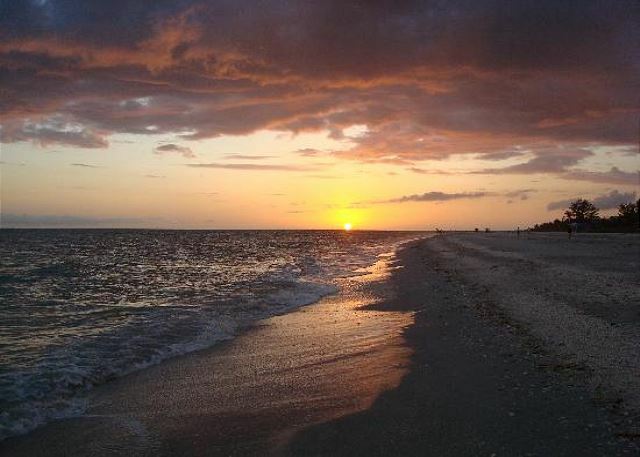 This is the one and only place I've stayed on at Sanibel Island, but I find it hard to wish for anything else. Location is great, it's on the beach, and just a short drive to restaurants and the local food marts. Property managment is super friendly and helpful, offered us to stay after checkout and use the showers and all, great service! I do have to raise a warning flag for the A/C units in the Pineapple building; the are a little outdated and make quite a bit of noise, both inside and outside. So don't expect to sit on the balcony at night, taking in the sounds from the beach in peace and quite. But there's a solution to that to - sit on the beach instead, it's just 100 ft away!